Best Pulmonologist in Rajasthan: Pulmonology is a medicine sub area that deals with treating, preventing and diagnosing lung respiratory tract and lung conditions. Dr Sheetu Singh is expert in handle conditions such as tuberculosis, asthma, pneumonia and other serious chest diseases. Patients suffering with respiratory diseases often think that it is exceptionally hard to inhale with no exertion. More often than not, the respiratory illness will put impact on your daily life by decreasing the routine work. We are concerned about health; Dr Sheetu is a Best Pulmonologist for your care. The Asthma Bhawan has a group of physicians and surgeons who are experts and give the best treatments to every patient experiencing respiratory disease. 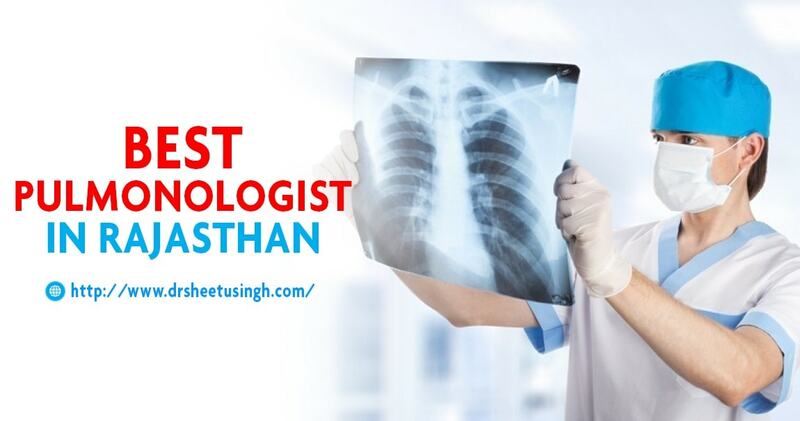 Dr Sheetu Singh aim is to helping each person who is suffering from lung disorders by offering best treatment, She is the Best Pulmonologist in Rajasthan. In few of the cases, this reaches out to the cardiovascular procedure. Certain state, for example, pneumonic vascular infection, can influence the respiratory part yet go ahead to influence different organs in the body. In Asthma Bhawan, the consultation and wards rooms are very much furnished with all the propelled machinery that is needed for the treatment of the patients. The hospital have good staffed with technicians and nurses to take care of the patient easily. Check Out Best Chest Specialist in Jaipur. Dr Sheetu Singh is the best pulmonology specialist in India providing the best lung treatment, diagnosis and deal with the all type of pulmonary diseases. 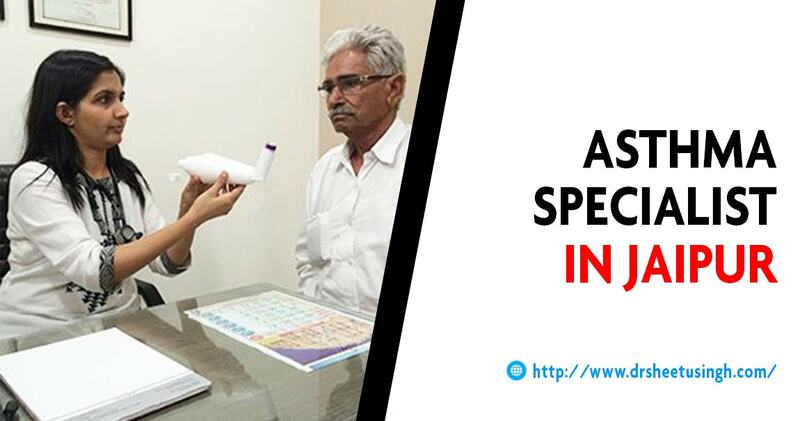 She is the Best Respiratory Specialist in Jaipur, Rajasthan, delivering extraordinary treatment and care to patients. She is perceived as the best pulmonologist in India and has experience of successfully performed various lung surgeries. Lung Diseases: Types and Causes: Lung diseases are some of the general medical issues all around the world. 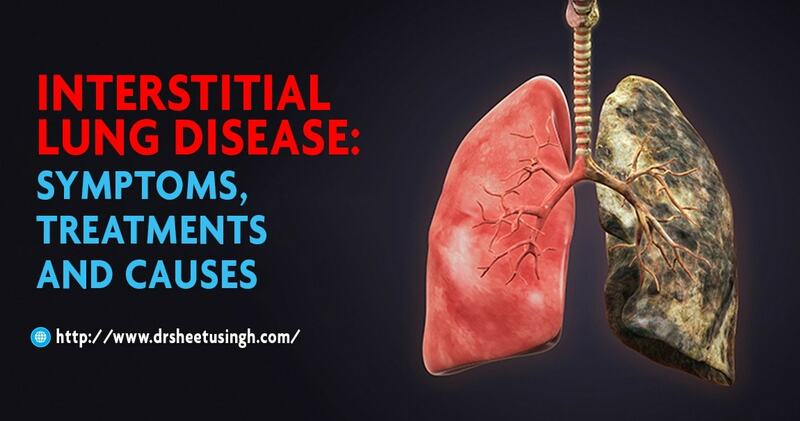 Large number of people suffers from the lung illness in the India. Infections, genetics and smoking are some main causes behind this disease. The fundamental role of the lungs is the action of gas trade called breathing (or respiration). In breathing, we inhale the oxygen and exhale the waste gas i.e. carbon dioxide made from metabolism. If the lung is not properly working it means that the capacity of lungs to trade gases is decreased. On the below section we are going to discuss about some lung diseases. COPD (Chronic Obstructive Pulmonary Disease): Lung conditions characterized by a difficulty to breathe out regularly, which causes trouble breathing. 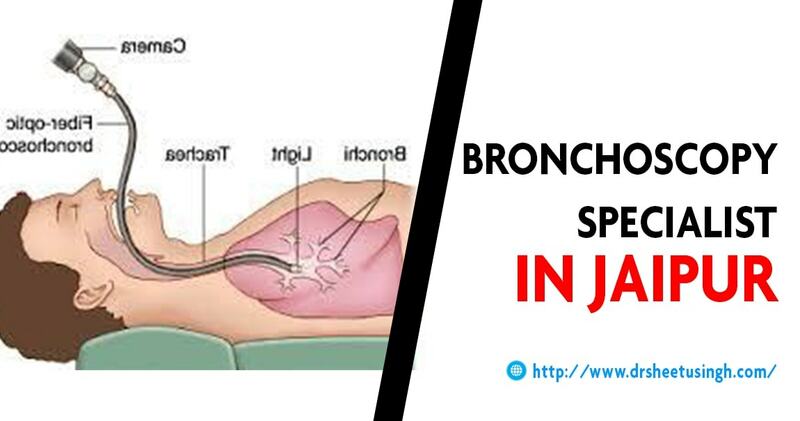 Chronic bronchitis: A type of COPD described by a long term productive cough. Emphysema: Damage in lung enables air to be caught in the lungs in this type of COPD. Trouble blowing air out is its trademark. Acute bronchitis: Due to any virus, sudden infection of the aviation routes. Tuberculosis (TB): A gradually dynamic pneumonia caused by the microorganisms Mycobacterium tuberculosis. 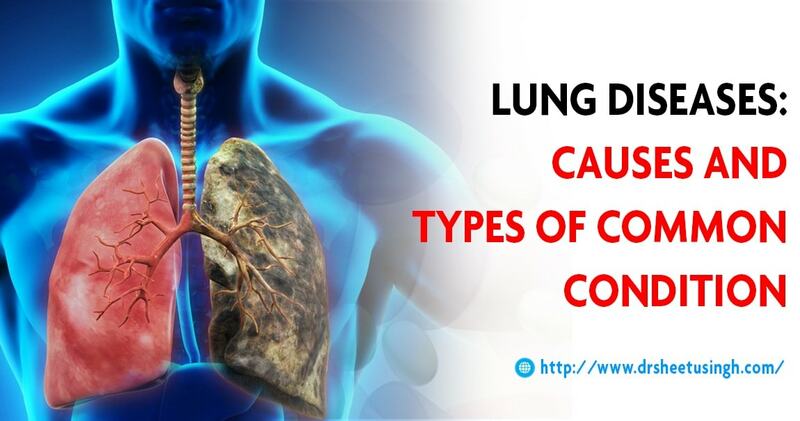 Lung Cancer: Lung tumor has numerous structures, and may build in any corner of the lungs. Frequently this is in the fundamental part of the lung, in or close to the alveoli. The location, spread and type of lung disease decides the treatment alternatives. Click Here to know more: Chest Specialist in Jaipur. ILD or Interstitial Lung Diseases: An expansive accumulation of lung conditions influencing the interstitium. 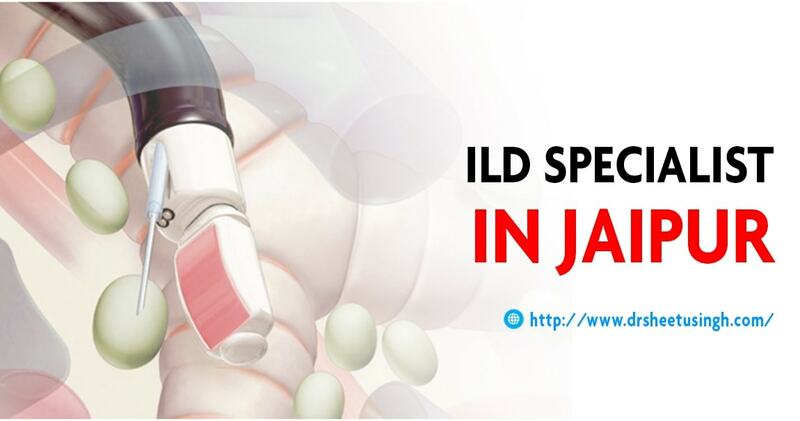 Idiopathic aspiratory fibrosis, immune system and Sarcoidosis dieseases are among the numerous kinds of interstitial lung disease. Aspiration edemas and pneumonias can likewise influence the interstitium. Asthma Specialist in Rajasthan: There is bronchial tubes normally known as airways, it provides way to air to inhale or exhale of the lungs. 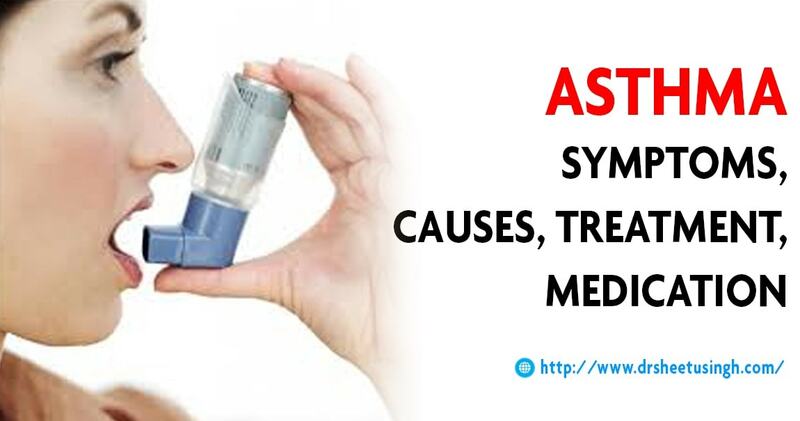 Asthma is never ending disease but with the right prescription you can control it. 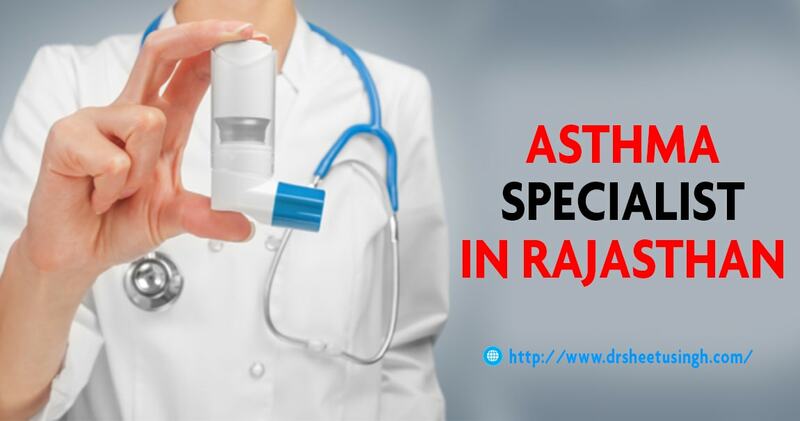 We have the best Asthma Specialist in Rajasthan. Patient who have asthma, there airways are always puffed up. When anything triggers your symptoms, then airways will become more inflamed and the muscles present around airways get tighten. This creates difficulty for patient to breathe in and breathe out. The common symptoms are wheezing, chest tightness, coughing and shortness of breath. Asthma Symptoms come in notice when patient perform any physical activity or while doing exercise. When any healthy person faces any symptoms of asthma on doing exercise then it is called as EIB i.e. exercise-induced bronchoconstriction or EIA i.e. exercise-induced asthma. In our daily life, staying fit is a best way to be healthy. Our Asthma Specialist in Rajasthan will create a management plan to keep control your symptoms. If a person have family history of asthma or an allergies then the chances of asthma is automatically increases. Many patients have allergies with asthma i.e. called as allergic asthma. Occupational asthma is generating by inhaling dust, fumes, gases or any other harmful substances while on the job. To treating with asthma we have best immunologist or allergist qualified physician. With the help of physician, you can control your situations and live a normal life by doing any physical activity. 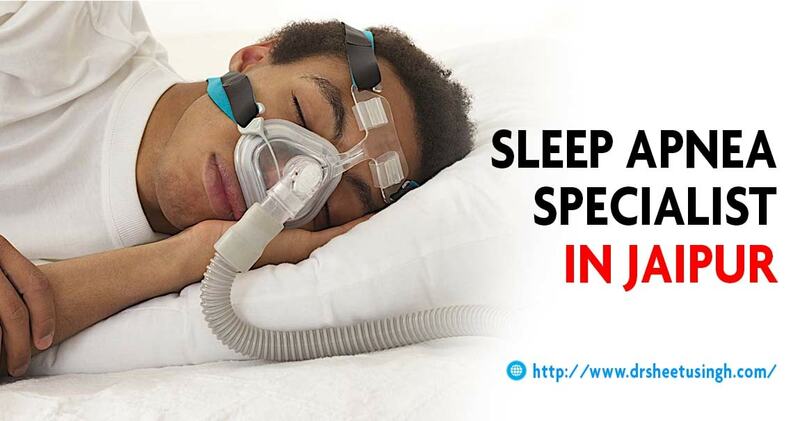 Sleep Apnea Specialist in Jaipur: Dr. Sheetu Singh is known for the Sleep Apnea Specialist in Jaipur. Sleep Apnea is a sleep clutter described by difficulty in breathing or airways get shallow during breathing at the time of sleep. Patient will face difficulty that is as last for a few seconds to minutes and generally it is happen in night. Due to blockage in airways, it causes loud snoring. At the time of forceful inhalation snorting noises is occur that may be sound like choking. As it affected normal sleep, due to this patient may feel tiredness or sleepiness during day time. In most of the cases children also face these issues. The treatment of Sleep Apnea is consisting of breathing devices, surgery, mouthpieces, and lifestyle changes. In lifestyle change we are talking about stop smoking, avoid alcohol; avoid sleeping on one’s side, losing weight. We advise to our patient to use breathing devices such as CPAP Machine. Without the proper treatment, it increases the risk factors of diabetes, heart attack, heart failure and stroke.